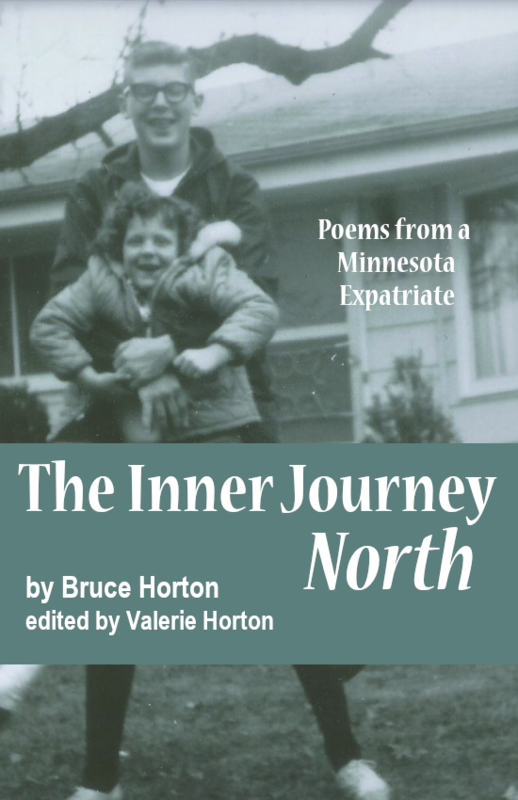 Book Description: Bruce Horton, a Minnesota native and expatriate, wrote poems over his lifetime. This compilation of poetry traces the journey of a man with a fixed compass point in the North and a lifetime of wandering, finally settling in Japan. These intimate poems ask the reader to ponder love, lust, death, and the meaning inside a life. Compiled and edited by his sister, Valerie Horton, this book memorializes the inner journey of a scholar and a poet. Bruce Horton, a Minnesota native and expatriate, wrote poems over his lifetime. This compilation of poetry traces the journey of a man with a fixed compass point in the North and a lifetime of wandering, finally settling in Japan. These intimate poems ask the reader to ponder love, lust, death, and the meaning inside a life. Compiled and edited by his sister, Valerie Horton, this book memorializes the inner journey of a northern scholar and poet. The Inner Journey North by Valerie Horton is licensed under a Creative Commons Attribution-NonCommercial 4.0 International License, except where otherwise noted.